The NPTS starts with a programme for developing early years water confidence with an emphasis on the development of basic skills and an introduction to water and the swimming environment through fun and games. 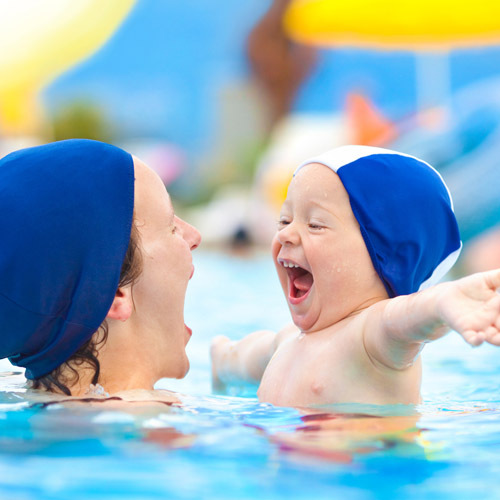 Adult and toddler classes aim to improve the adult’s confidence in handling their children safely in the water and to familiarise the child with the pool environment. For the adult and toddler class the adult is required to enter the water. All our lessons are 30 minutes in duration with a maximum of nine swimmers per group. All our courses are based on a progressive programme which run during school term times but you can join at any stage through the school term. Please note that children who wear daytime nappies MUST wear a swim nappy under their costume whilst swimming. Changing mats are available at Campsbourne school pool.